Interactions/Mosaic, 6th edition prepares students for college life through modern content, intensive vocabulary development, and online homework. 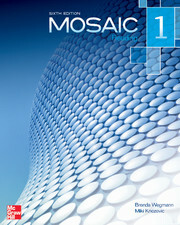 Mosaic Reading Student Book plus Registration Code for Connect ESL Level 1, 6th ed, includes 10 chapters (3 brand new for this edition) and teaches the skills and vocabulary that students need for success in university courses. Connect ESL offers the perfect combination of e-book and automatically graded homework. Learners can access the entire book online, and the all-new exercises for each chapter help students improve their vocabulary and reading skills. 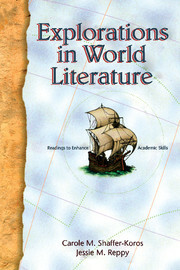 Authentic world literature provides the source material for students to enhance their critical thinking, reading, and writing skills.